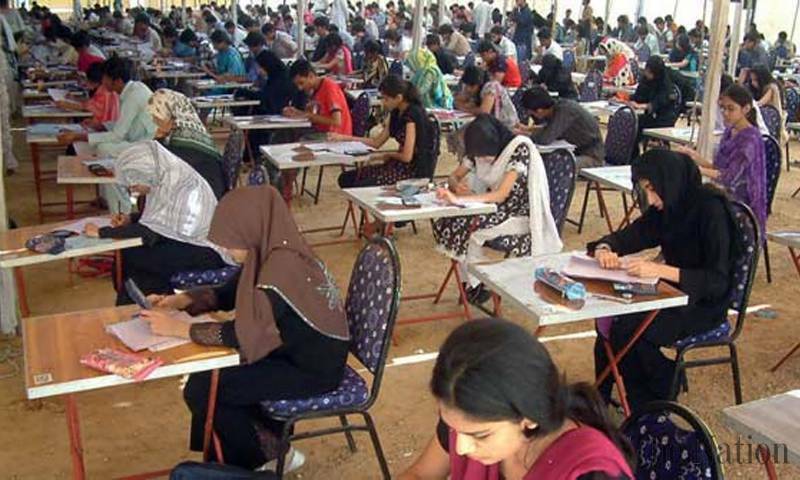 LAHORE: An amount of Rs190 million was distributed among the high achievers of the Secondary School Certificate and Intermediate Examinations 2017 at a ceremony held at Aiwan-e-Iqbal on Wednesday. At least 445 top three position holders of the secondary school certificate, as well as intermediate examinations, were awarded cash prizes worth Rs400,000, 300,000 and 200,000 for the first, second and third position respectively, whereas their teachers were awarded Rs200,000, Rs150,000 and Rs100,000. Provincial Minister for Higher Education Syed Ali Raza Gillani, on behalf of Punjab Chief Minister Muhammad Shehbaz Sharif, was the chief guest at the occasion while P&D Minister Malik Nadeem Kamran, Minister for Environment Zakia Shahnawaz, PDMA Minister Mehar Ejaz Ichalana, Advisor to Punjab CM Rana Muhammad Arshad and Secretary for Higher Education Nabbel Awan also attended the award distribution ceremony. In his key address, Raza Ali Syed said that the Punjab government had awarded cash prizes worth Rs1 billion during the past 10 years to acknowledge the achievements of the position holders and their teachers. “We cannot afford the ratta system anymore and the Higher Education Department has planned to introduce a conceptual learning system by 2023 to compete with other countries in the education sector,” said the minister. Highlighting his department’s initiatives, he said that by the year 2020, all government colleges would be bound to launch the B.S. (honours) programme, while some prominent colleges would be launching it within the ongoing year. He also said that during the past one and half year, the Punjab government appointed 3,971 teachers to overcome faculty shortage. “Under the government’s scholarship programme, 65 students are currently studying in some of the top universities in the world, including Cambridge and Oxford,” said the minister.